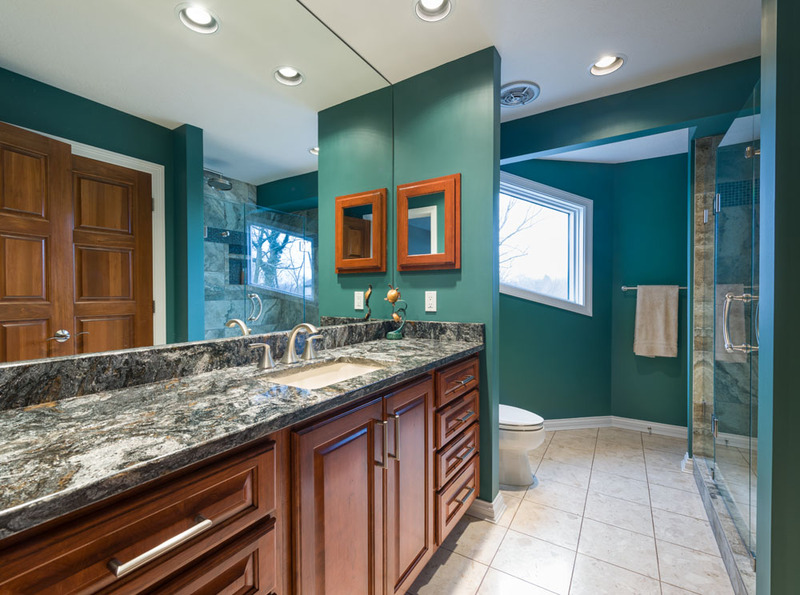 The second floor bathroom renovation included turning the builder-grade bathtub into a shower, and installing new cabinets and counter tops. Careful attention was taken to protect the existing tile floor since it was being reused. 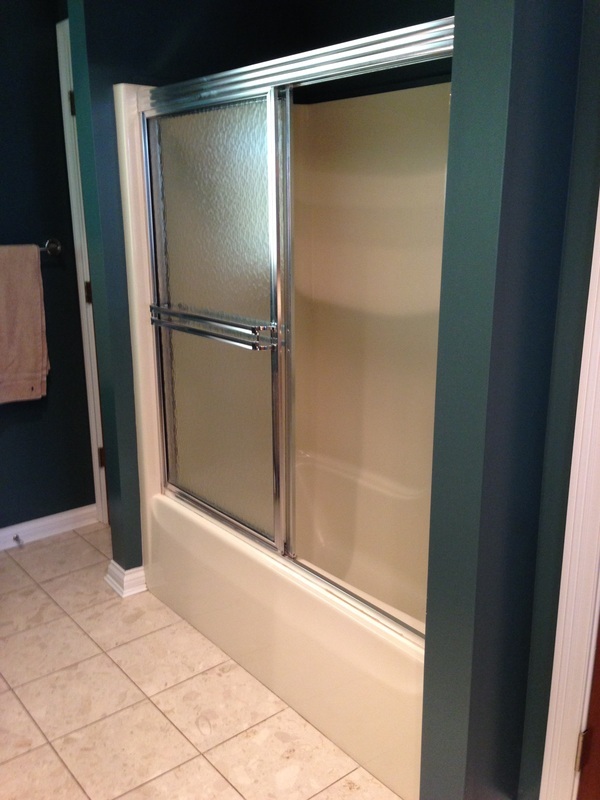 This is one of four bathrooms we remodeled for the same homeowner. 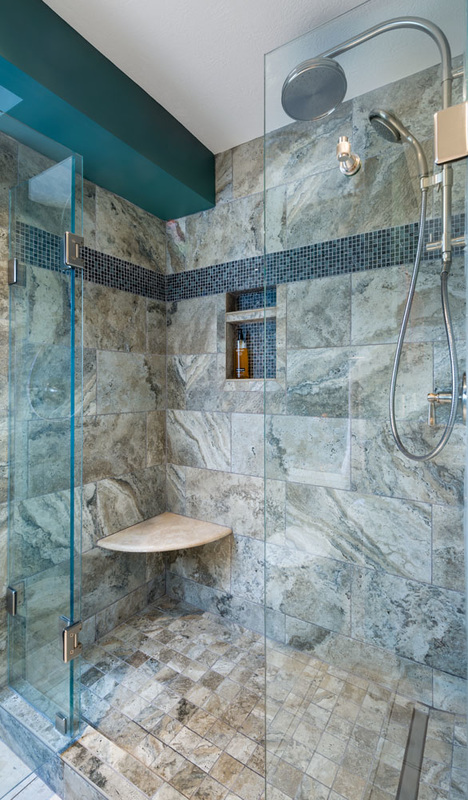 ​A marble corner bench and a custom shower niche add convenience and style to the shower. 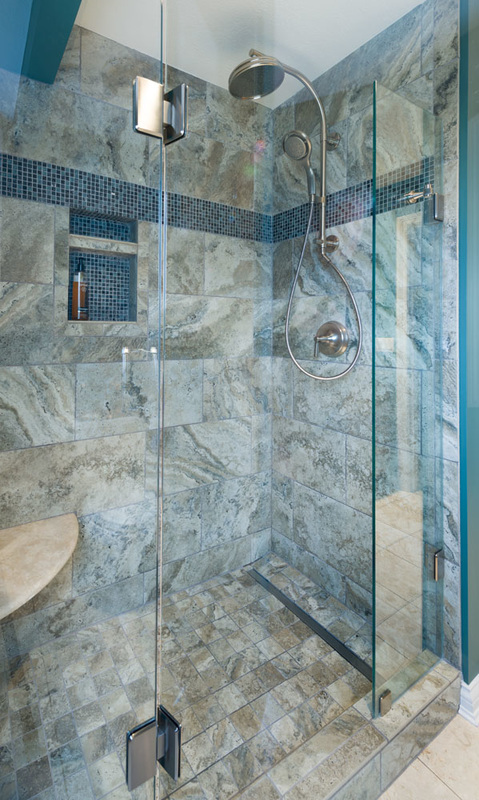 During demolition we learned that we could remove the dropped-down ceiling over the shower area, opening it up allowing for the larger shower fixture.